How do you challenge those motivated to succeed? Four year colleges are nice, but they’re not for everyone. 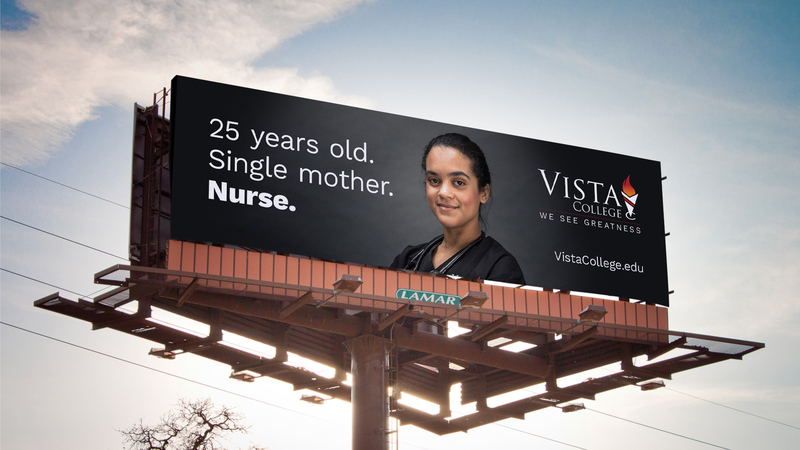 Our friends over at Vista College know that all too well—and so do their students, who by dint of circumstance or interest aren’t perfectly suited for the more conventional college experience. 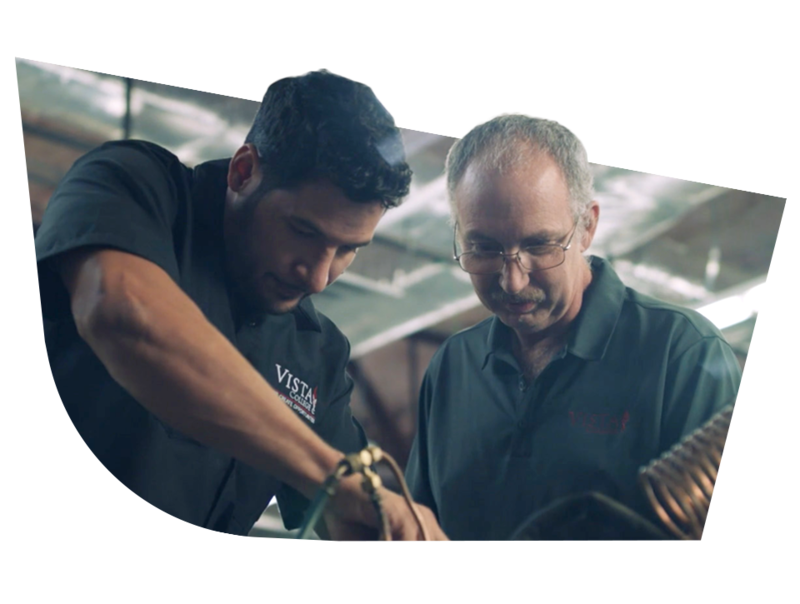 And in 2018, Tilted Chair and Vista College set about addressing this technical college’s #1 challenge: how do we inspire students to achieve more than they’d ever dreamed possible? Q: What sets Vista students apart? A: A belief in their own untapped potential. We brainstormed collectively and individually. 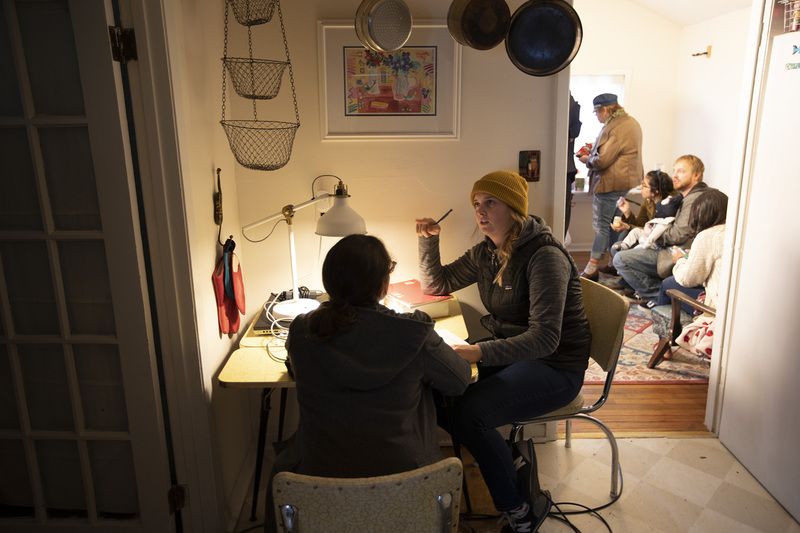 We interviewed past and current students. We did everything possible to put ourselves in the shoes of a Vista College student. And then we landed on the big idea: We See Greatness. You see, sometimes all people need is a push to strive for something better—to turn that potential into reality. With Tilted Chair’s help, Vista College provided that push. 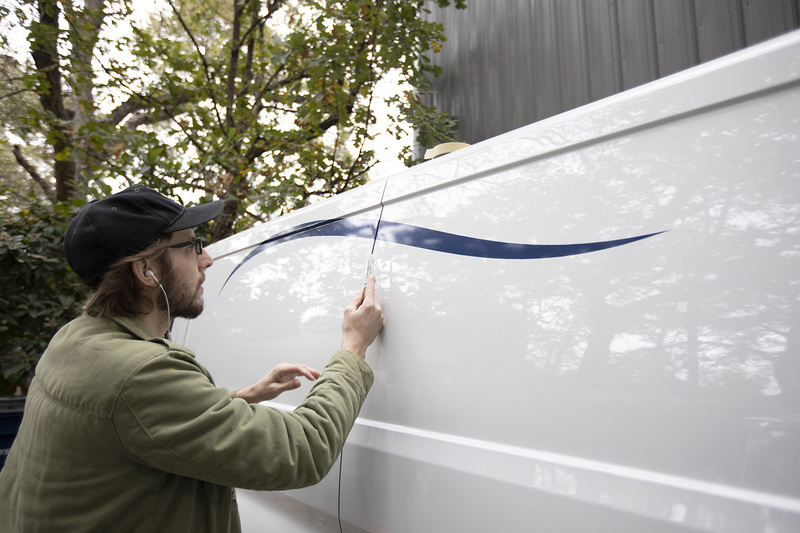 This simple, validating, and inspiring idea formed the backbone of a campaign that launched on billboards and TVs across five different markets. At Tilted Chair, we don’t just brainstorm the big idea—we also execute it. 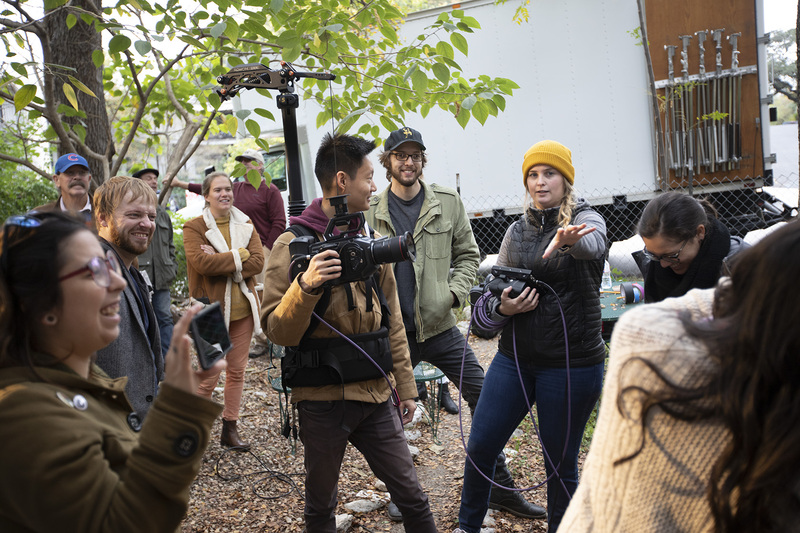 For Vista, we did just that, scaling our crew to bring our stories of untapped greatness to life in beautiful, cinematic form. 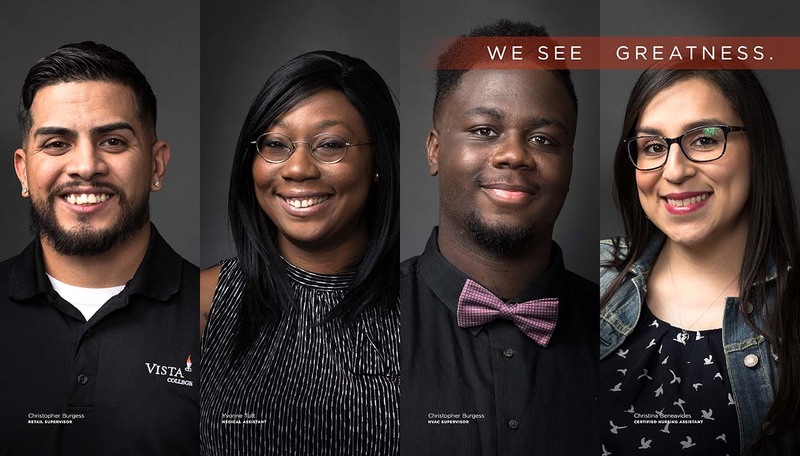 To bolster the authenticity of our claims, we featured real students throughout the campaign. 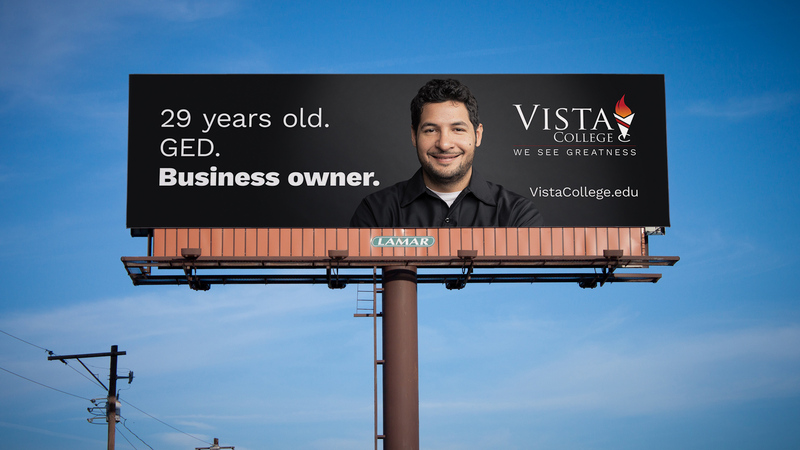 The faces and stories of Vista College graduates sprawled across buildings and billboards, and showed our audience what real greatness looks like.